Winner of the Young Architect of the Year Award 2009, David Kohn Architects is a London-based architectural practice founded by David Kohn in 2007. Recent projects include the Skyroom, a pop-up space on the rooftop of the Architecture Foundation in London, , a new art gallery for Modern Art, London, an urban design strategy for Deptford in partnership with Design for London, and a house in Devon for furniture designer Pinch. In 2017, David Kohn Architects was appointed to design the V&A Photography Centre. 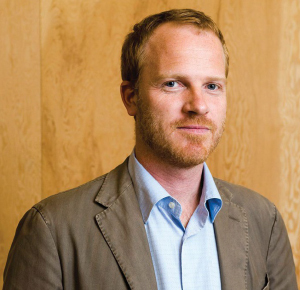 In addition to architectural practice, David is a writer on cultural issues, a design advisor to Newham Council and the Sorrell Foundation and a course leader at London Metropolitan University. His GAS lights series was inspired by the historic gas powered street lamps. The frosting on the glass bell obscures the light source so that the glow gives a mysterious ethereal hue. It becomes something pleasurable and playful much like the flame from a candle.